Inspire positive behavior in students! Posters measure 7-1/3 " x 17"
Brighten your walls with a splash of color and affirm kids of all ages with motivational messages. 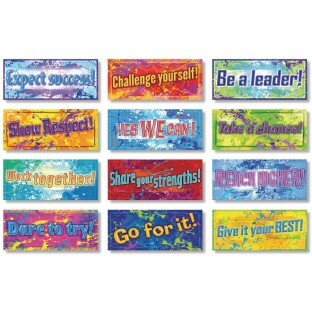 Twelve 7-1/3 " x 17" posters encourage students to be confident and accept challenges with enthusiasm.